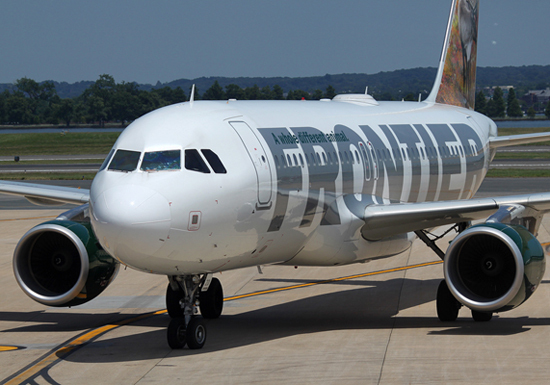 Frontier Airlines is headquartered in Denver, Colorado and operates about 74 flights a day. It is a subsidiary of Republic Airways Holdings with destinations throughout the United States, Costa Rica, the Dominican Republic, Jamaica, and Mexico. A one-way charge of $75 will apply and may be paid in advance during booking, or when checking in your pet. Pets are not allowed to be checked as baggage. Your pet must travel in a container that is ventilated. Maximum size of container is 18″ long X 14″ wide X 8″ high. It is recommended that your pet have food and water within four hours of departure, but food and water is not recommended during the flight. Pets are not allowed on flights to Jamaica.